Bead store (or similar) in the area? I need to get a clasp on a necklace replaced, really simple, the kind of thing that's cost me about five bucks at various bead stores over the years. Last time I went to Boston Bead Company in Harvard, but they've apparently closed. Anybody know of a local place that could do such a thing? I'm striking out on google. According to a sign at 280 Elm, they will be moving to 87 Blanchard Rd. in Cambridge. 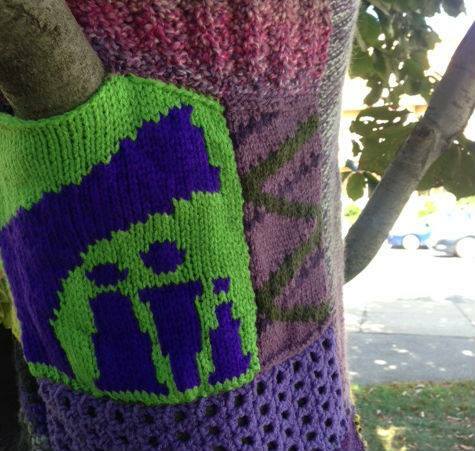 To promote the Nave Gallery’s Wrap Around Project and the work of the Somerville Homeless Coalition, we are yarn storming trees in Powderhouse Park in Somerville. Each tree has a social justice theme and an individual color scheme. 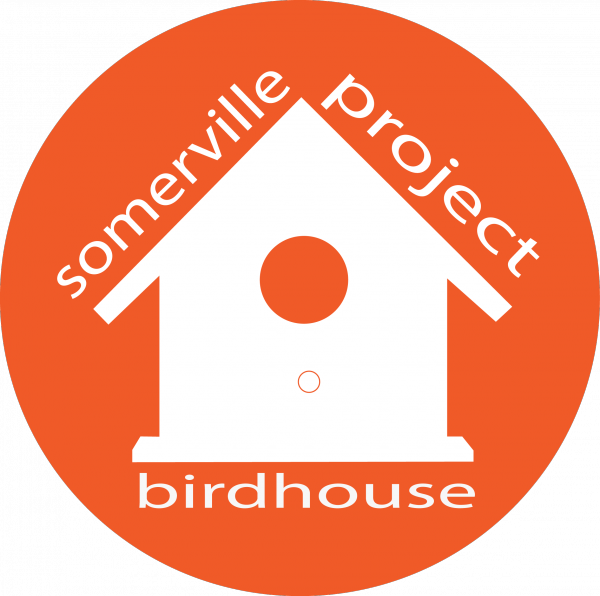 Bring your friends and join us in transforming one of the prettiest parks in Somerville in the name of good! While biking on Holland St today (shortly after a car accident at the corner of Elmwood -- anyone know anything about that? Nobody appeared to be hurt. ), I noticed Boston Bead Company at 75 Holland, the corner of Irving. They used to be in Harvard Square but when their lease came up for renewal, the rent was too (damn) high, so they moved here. Lucky them to be moving from just about the only place nearby where the rents are even higher than Davis. I think there was a convenience store in that spot before, maybe? I'd only been in it a couple of times, so I'm not sure, and given how often we go to Hodgkins Park, I guess it didn't offer too many conveniences for us, anyway. It's a nice little shop, obviously only of interest if you're into beading at some level, but I was surprised to not have seen mention of it here already. (Seems far more relevant than a big box chain restaurant opening on the other side of town.) They also do classes. Stop in and say hi! It feels like there is a lot of turnaround going on right now. There was another closed shop on Elm, too (in the vicinity of Chester, on the other side of the street), though maybe whatever is moving in there has already been covered. Join organizers Jen Fuchel, Sandy McDonald and Alice Sajdera in kicking off the launch of The Caring Forest. 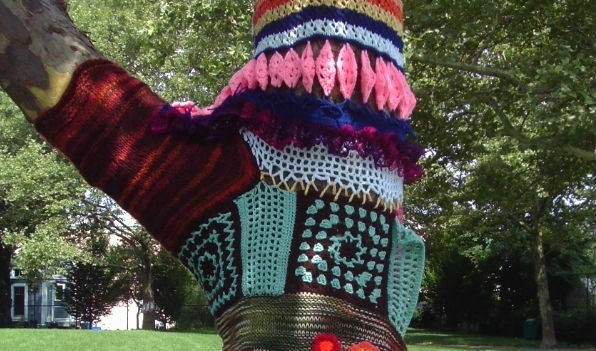 As part of the Nave Gallery’s Wrap Around Project to support and promote the work of the Somerville Homeless Coalition, The Caring Forest will be a public art installation of four yarnstormed trees in one of Somerville’s parks. Each tree will have an individual color scheme and will represent four key areas related to homelessness: food security, education, housing and community. I've never been to this store, but people have repeatedly praised it in this community. So I'm bringing you the sad news that it is closing this summer. Join us to kick off the 2015 Wrap Around Project with a fiber swap to support the work of the Somerville Homeless Coalition (SHC)! Admission to the event is free, but please bring a donation of canned goods or toiletries to support Somerville Homeless Coalition’s (SHC) Project SOUP, the local food pantry that provides weekly community dinners and delivers groceries to individuals, families, elderly, disabled and homebound people in our neighborhood. This question is very random, but I'm wondering if any of the numerous crafters in the community have a Robert Kaufman Kona Solids Color Swatch Card that I could look at? I need to match a fabric I bought last August and I didn't note which shade of grey it was. I'd really rather not spend $30 on the swatch card just to compare one color, and I don't want to order the wrong shade of grey online if I can help it. What are people's favorite nearby fabric stores? Particularly looking for a good selection of Polarfleece. Does anyone know of an artist who makes products out of recycled maps? I have some to give away but the quantity is huge. I can't give away small amounts so I am looking for someene to take thousands. Preference would be to local artists. 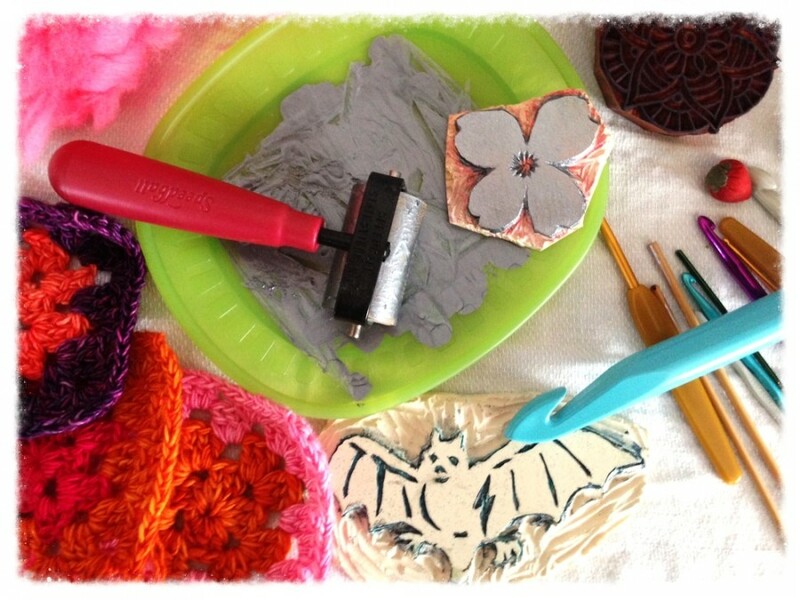 Still looking for something crafty for your children during spring vacation? Not free for the whole week? 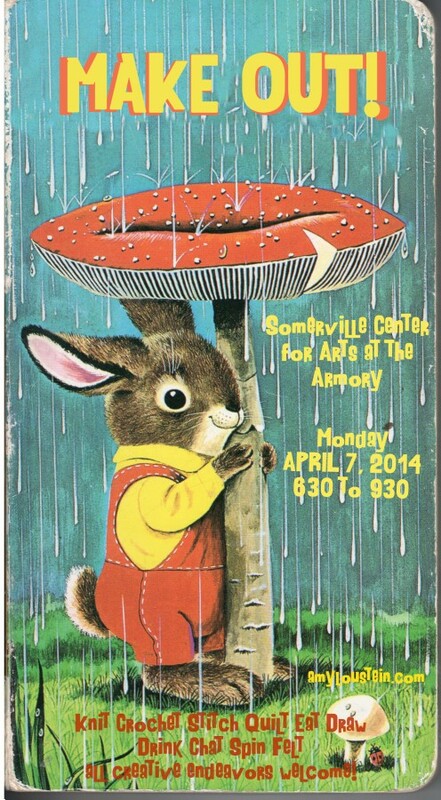 Come join MAKECATION at the Somerville Arts for the Armory. In response to your requests, we have opened up MAKECATION for the individual days of your choice. We also invite younger children ages 7+ to take part. We are booking individual days at $65 per day with a $10 materials fee (total $20 materials fee if they attend more than 2 days.) The full four days, Monday - Thursday, is $250 with a $20 materials fee. Please make requests for siblings if younger than 7 and for sibling discounts. On Saturday, May 17, from 10 am – 1 pm, The Wrap Around Project will host the 3rd Annual Fiber Swap, an open exchange of all things related to craft and fiber at the Nave Gallery, 155 Powerhouse BLVD, Somerville, MA. Bring items for donation, browse through great finds, and swap with your neighbors! We welcome yarn, knitting needles, fabric, nooks, thread, buttons, ribbon, and so much more. Items may be new or vintage, but must be clean and usable. Items can be brought directly to the swap on Saturday, May 17, OR, if you wish to donate but not swap, items can be dropped off in advance at either the Nave Gallery in Teele Square or the Nave Gallery Annex in Davis Square. If you have a large quantity to donate, please contactinfo@navegallery.org so that we may make appropriate arrangements. Anything left behind after the swap will be used to create items for the annual Wrap Around sale of handmade goods to benefit the Somerville Homeless Coalition, or used in upcoming public art installations throughout the Somerville. COME MAKE OUT with us ;} and get happy! Please feel free to forward this email on. Once upon a time, I looked around my apartment and realized either some of my things went, or I went. There wasn't room for us all. So I'm saying goodbye to some items that are in good condition but just aren't being used by me at this point in my life. I know this is unlikely, but I was hoping with all the crafty people in the DS area that someone might be able to help me out. I got a quilting frame for Xmas this year (similar to this, but not this exact model, mine sits on top of a table: http://www.hinterberg.com/prod-Original_Machine_Quilting_Frame-5.aspx) and was hoping someone might be familiar with using their home sewing machine in something like this? We set it up yesterday and tested it out, and I'm finding it difficult to figure out the correct tension settings, speed, stitch length, etc. There wasn't a lot of instruction included, and I'm sure some of it will be trial and error. But if anyone has one of these (or something similar) and would be willing to spend some time giving me pointers, I would gladly repay with a loaf or two of homemade bread (either white or wheat), or a batch of scones or some other such barter. There will also be baked goods for sale, but not Girl Scout cookies, unfortunately. I'll post here again next month when we'll be tabling with cookies, probably at the Porter Square supermarket or thereabouts. Each year, the Nave Gallery hosts Wrap Around, a sale of handmade goods to benefit the Somerville Homeless Coalition. This weekend is the very last weekend of the sale. Stop by, get some warm prettiness for yourself or to give as a gift, and help a truly fantastic organization. Bonus: If you come by Sunday from 3-5, there will be an artists reception to close out Reliquary, a really fantastic exhibition held in concert with the sale. There is a HUGE yurt with rubber duckies and a floor covered with cocoa shells from Taza. The Somerville Arts Council is conducting a survey on the city's creative community and they could use your help. They're even sweetening the deal - complete the survey and you'll be entered to win one of four $50 Amazon gift cards. Much of our success at the Somerville Arts Council is contingent on our listening to the creative community in Somerville. Our programming seeks to reflect the rich cultural diversity of the City and the artists, designers, and performers who have made it home. Similarly the policies we push at the City level attempt to be responsive to the needs of local artists. As Somerville approaches a crossroads in terms of the type of change and development it expects, we need to develop surveys and reports to understand the needs of the creative community and identify points of leverage for policy intervention. Toward that goal, we are launching an asset survey and analysis with UMass Center for Policy Analysis. Although there is no clear definition of the creative economy, it essentially encompasses those businesses, organizations, and individuals who produce and distribute cultural goods, services, and intellectual property - from art, film, photography, and music to architecture, advertising, and jewelry design. Somerville is well-known for attracting and supporting artists; this report will make legible to others in the State how to serve the creative community. While economic impacts are an inherently crude measure of artistic expression, they are an important part of the larger narrative of how creative activity increases cultural and economic well-being. Please take the survey now. It is only 12 questions. All information, whether personal or financial, collected in the survey will be kept in strict confidence before being aggregated for the report. glass-moment.livejournal.com - Bead store (or similar) in the area?